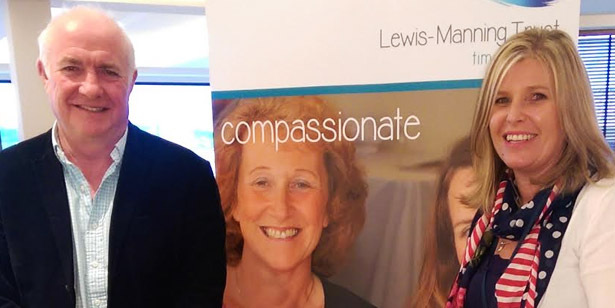 We are delighted to let you know that following our recent opening in Sandbanks nearly £2,000 was raised for nearby charity the Lewis-Manning Hospice. We took donations from customers for the hospice during our ‘trial openings’ week in the lead up to our official opening on November 28th. Rather than paying for their meal, we asked diners to donate to the charity and our staff also donated their tips from the trial openings, raising a combined total of £1,934.85 for the charity. The Lewis-Manning Hospice is just up the road from us at the top of Evening Hill and they provide free care and support to local people with cancer and other life-limiting illnesses. If you haven’t visited our new restaurant in Sandbanks yet, you can book a table by clicking the button below. Take a look at our view from the restaurant via our new webcam here.